Having found popularity on restaurant menus, bone marrow is now making it on to the table at dinner parties and special Sunday lunches. It is very rich with a soft, gooey texture that is best paired with something acidic to cut through the fattiness and something crunchy to complement its softness. Cooking bone marrow sous vide is beneficial as it avoids the high temperatures that can cause the marrow to shrink. Before serving, the bone marrow can be quickly grilled under a very hot grill or blowtorched for an added charred flavour. 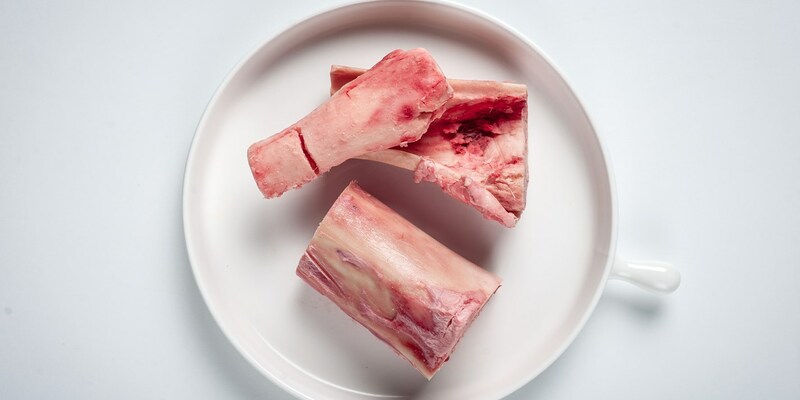 Bone marrow is most traditionally served with chopped parsley, shallot and capers. Try topping with breadcrumbs for extra crunch. Serve bone marrow with something tangy such as onion marmalade or Gentleman’s relish to cut through the intense richness. Richard Corrigan serves a Hand-chopped rump steak burger with peppered bone marrow and Robert Thompson uses it in a sauce with a Roasted sirloin of beef.